Savour a feast of delicious canapés, spicy snacks and sweet treats. A bespoke menu created by Dhruv Baker and Earlsfield Kitchen, with tasty desserts from Hari Ghotra. What’s more, you will be changing the lives of families who suffer from hunger, and with our campaign partner, Natco, matching every penny raised, your support will be making double the difference. 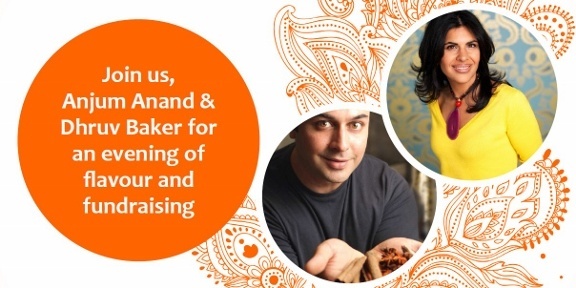 A special thanks to our venue, Halcyon Interiors, for their generous support to help make the event possible, and to our fantastic ambassadors Anjum Anand, Dhruv Baker and Hari Ghotra - we look forward to seeing them in the Kitchen! You can purchase your tickets online with Paypal, select the number of tickets you require and you will be able to pay using your PayPal account, or select the option to pay with your credit or debit card. Alternatively, for tickets and enquiries please contact [email protected]. THIS EVENT HAS NOW SOLD OUT! Thanks to all the amazing people and businesses that are donating items to our luxury silent auction, helping to raise money to change lives. These items will be available for you to place a bid on night, but if you are not able to attend the event and are interested in bidding for a prize please email [email protected] A list of items s below and also in our auction guide (PDF). Thank you for helping us change the lives of families who suffer from hunger. October 2017. Eat curry, change lives! In 2019, Curry for Change is getting bigger and bolder, help us to change the lives of families who suffer from hunger by donating today. Provide a village in rural India with a demonstration in sustainable agriculture so they can learn how to conserve water and grow enough food to feed their families. Provide 125 women in India with the skills and training to enable them to start small businesses and build a secure future for their families. Join the nation this autumn and go curry crazy, it is the perfect excuse to enjoy a curry! 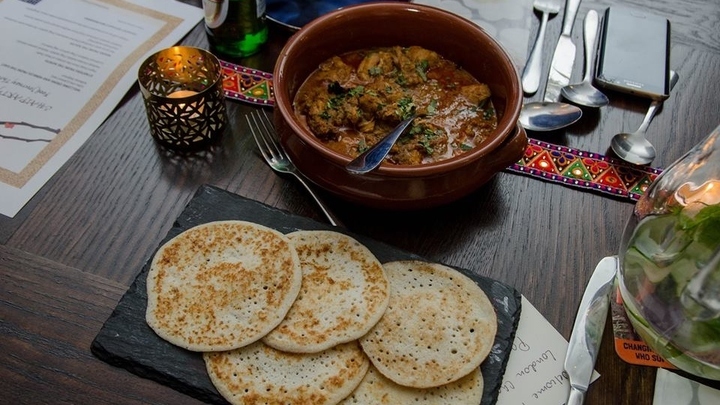 Mark this day with a curry evening to help fight hunger. You could include curry dishes from around the world and even competition to judge the best dish.